Modish Presents Notebook Portable CUP Frosted Ultra Slim Water Bottle, which is a perfect fit for your carryon bag and ideal to accompany your laptop, tablet, and cell phone. Made from a durable, BPA-free plastic, the memo bottle is a long life re-usable bottle designed to assist in reducing the number of disposable plastic water bottles that are having a devastating effect on our environment, Easy to carry. Space-saving. It’s very suitable for your schoolbag, briefcase, handbag etc. 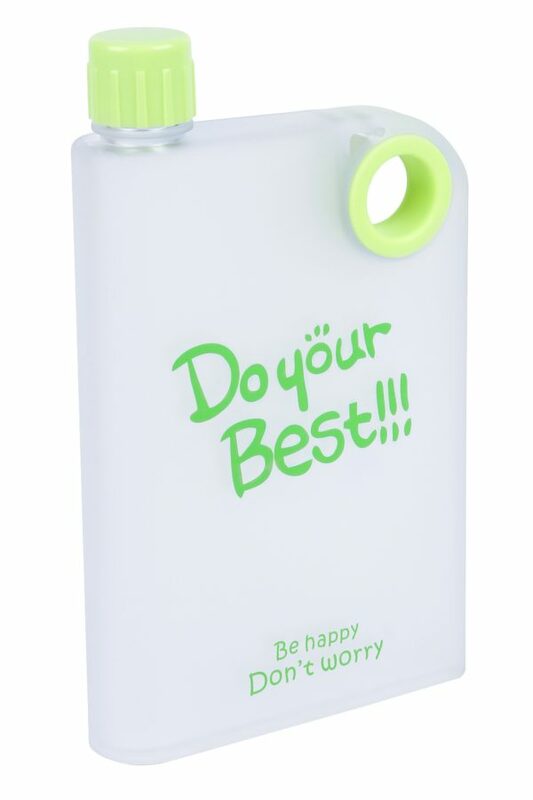 This shopaholic notebook bottle is ideal for travelling, the office or coupled with college books. Reusable water bottle for the premium drinker, Lightweight, Versatile Water Dispenser. Easy to handle and clean, Can be used as Frosted Fruit bottles. 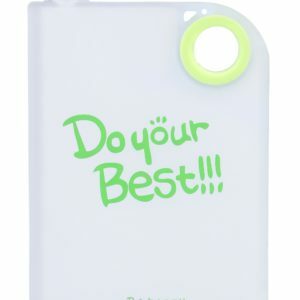 Durable and Freezer proof and heat resistant (Do not use with very hot drinks). 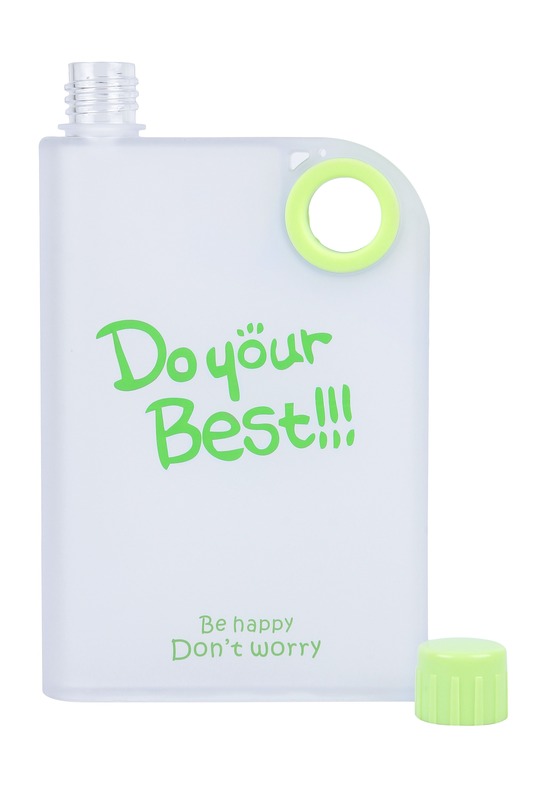 1 Piece pack, Kids Modish Brand A5 size MEMO BOTTLE / Notebook Style Flat and Ultra SLIM Portable Bottle. BPA FREE , Contains 380 ML. Leak proof, slides into your bag. Convenient to handle in your hands like a memo or a notebook. It can fit everywhere from your pocket to your backpack. 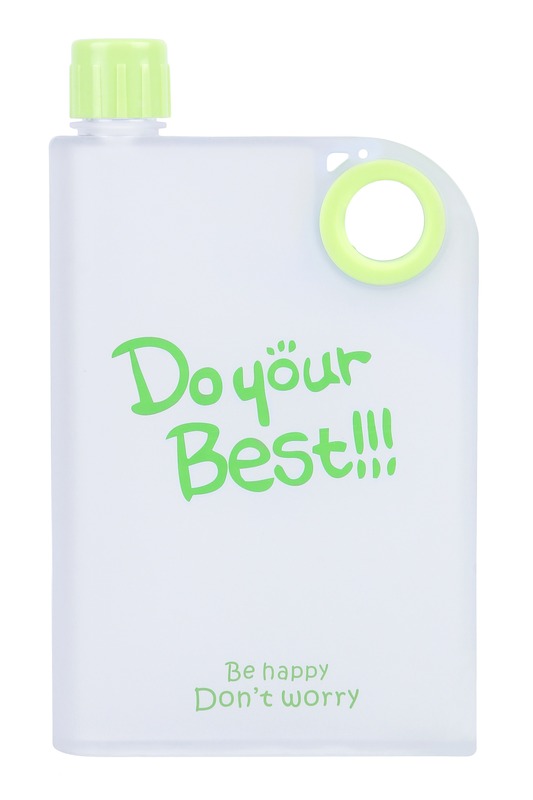 It’s very suitable for your schoolbag, briefcase, handbag etc. 100% LEAKPROOF, FITS ANYWHERE: A5 memo bottle is Designed to slip into your briefcase, purse, lunchbox or sports bag, this water bottle takes up minimal space and creates No bulge or sagging! Featuring a leak proof lid, you’ll never have to worry about any accidents, spills or leaks that would soak through the contents of your bag! EASY TO USE, CARRY & FILL: Flat water bottle designed to provide fast water flow, you’ll quench your thirst in SECONDS! Thanks to its sleek mouth, you can fill up your bottle with your refreshing drink of choice, without wasting a single drop! our water bottle is your #1 choice for perfect hydration while at the office, school, gym, or exploring the outdoors. In addition, this bottle also has a small hole that you can use to put the rope so it can be hung behind your bag. BPA, PHTALATE & TOXIN FREE, ODORLESS & SAFE: Enjoy your drinks FREE of any noxious odors and poisonous chemicals! 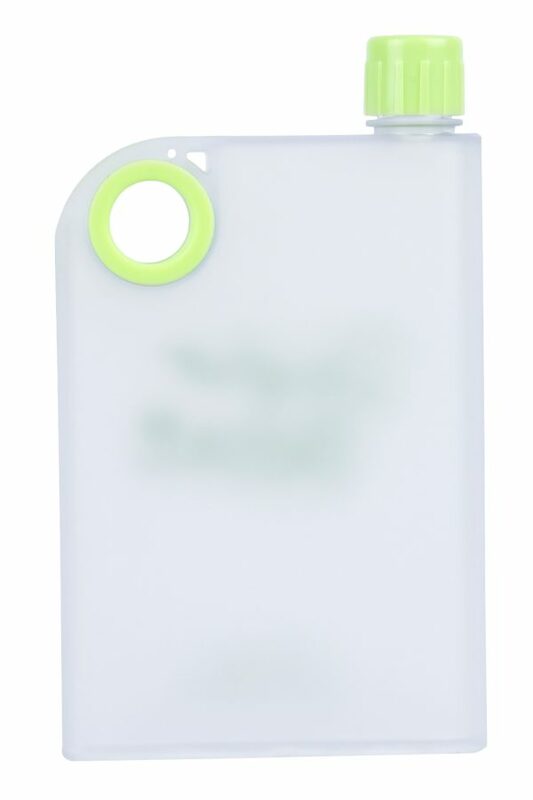 Our slim water bottle is GUARANTEED to preserve your drinks’ freshness, THROUGHOUT the day! Effortless to clean, you can add your bottle to your next dishwasher load and keep it handy, at all times. Memo Bottle with hole to carry handle. THE ULTIMATE CLEAR FLASK: Notebook water bottle is contrary to most water bottles on the market, our flask is a versatile liquid container! It can store ANYTHING ranging from sodas, fruit infusions, juice, tea and other refreshments, salad dressing, sauces, cold soups, baby food, as well as non-edible travel essentials, such as shampoo and conditioner and much, much MORE! 1. Bottle to be Cleaned Before & After Every Use. 2. Do Not Use in Microwave. 3. Do Not Place the Bottle Near Direct Heat Source. 4. Do Not Use to Store or Carry Carbonated Drinks. 5. To Eliminate Odour, Clean.